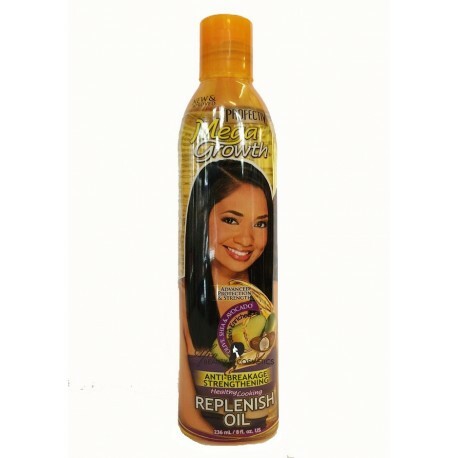 Protects, restores, repairs & rebuilds fragile, damaged hair for healthier hair growth. Fortified with Pro-Growth Complex - a deep penetrating blend of natural minerals, oils & proteins MegaGrowth strengthens hair from the inside out to promote Stronger, Longer, Healthier Hair. USES: Multi-purpose soothing oil for dry hair, scalp, nails & skin. Excellent hot oil treatment for relief of dry, itchy scalp & damaged hair.